John Lennon, Paul McCartney, George Harrison and Ringo Starr autographs signed at Mersey View Showgrounds, Frodsham, Cheshire on 20th April 1963. Framed with photograph and plaque. Pages from Fairfield Halls Croydon Concert programme 25th April 1963 signed by John Lennon, Paul McCartney, George Harrison and Ringo Starr. The Variety Club of Great Britain Xmas Luncheon programme signed by Paul McCartney, 1980. Framed with photo, programme and plaque. 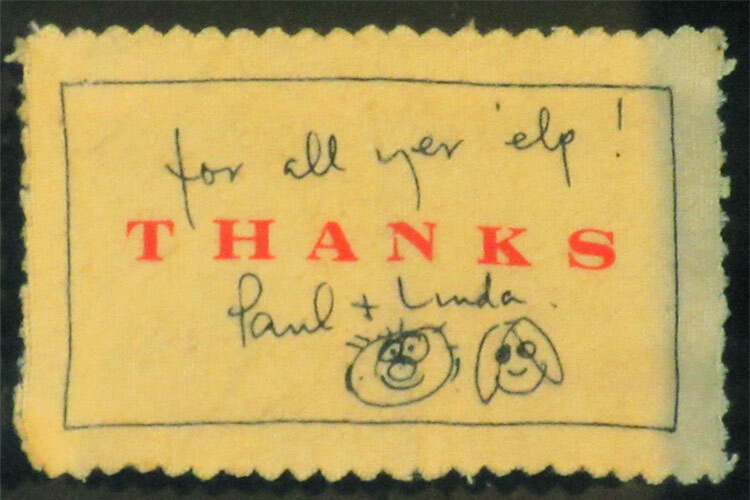 Signed & with caricatures By PAUL & LINDA McCARTNEY. Framed with album sleeve and plaque. Frame: W52 x H65 cm (20.3 x 25.5 inch). 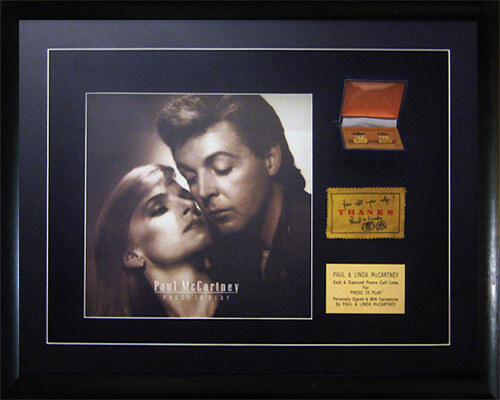 'Flowers In the Dirt' CD cover personally signed by Paul McCartney. Framed with plaque. Comes with press kits. Comes framed with photograph and plaque.